Families searching for Minnesota resorts with pools should look no farther than Cragun’s Resort. 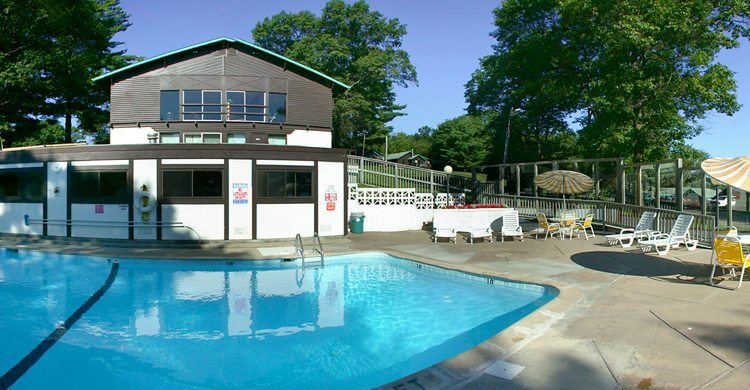 Our huge indoor pool complex includes a relaxation whirlpool and spacious sundeck overlooking Gull Lake. A sauna and another whirlpool is located nearby at the Sports Centre facility. What better way to relax on a warm summer’s day than lounging beside the outdoor pool (opening Memorial Day), soaking up the rays. Our outdoor pool complex is located lakeside and features a windscreen enclosure. A children’s pool and whirlpool complete the aquatic amenities. Cragun’s Resort is famous for its beautiful long, shallow, safe for kids, sandy beach with a roped off swimming area. It’s the best beach on Gull Lake! The North Beach has volleyball courts, horse shoe pits, along with nearby picnic tables and lounge chairs. In the evening, Families love the campfires.The South Beach extends over 1/3 mile! It too, is safe, shallow and sandy with a roped off swimming area, dozens of picnic tables and fire rings abound with plenty of firewood to keep the family fires going into the night for marshmallow roasting, songs and stargazing. The South Beach is also home to the children’s playground area. This area also hosts “cookouts” for reunions, events and family gatherings.